As the holidays are approaching is your Christmas cheer replaced with Christmas fear? Is the thought of all the shopping, cooking, cleaning, planning and organizing enough to make you run for the hills and stay there until it is all over? 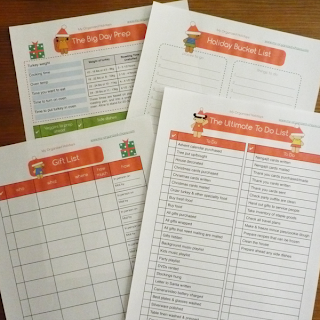 The pack contains lots of planners, schedules and checklists designed to help you organize your holidays and bring down your stress levels. Click HERE to grab yours now.